Quesadillas aren’t necessarily a summertime food, but I do tend to make them more often than usual when the weather is warm. They’re low key and require very little cooking time, which is a boon on hot and humid days. Plus, they’re endlessly versatile, a perfect vehicle for all sorts of vegetables, spreads/sauces, beans and other proteins. 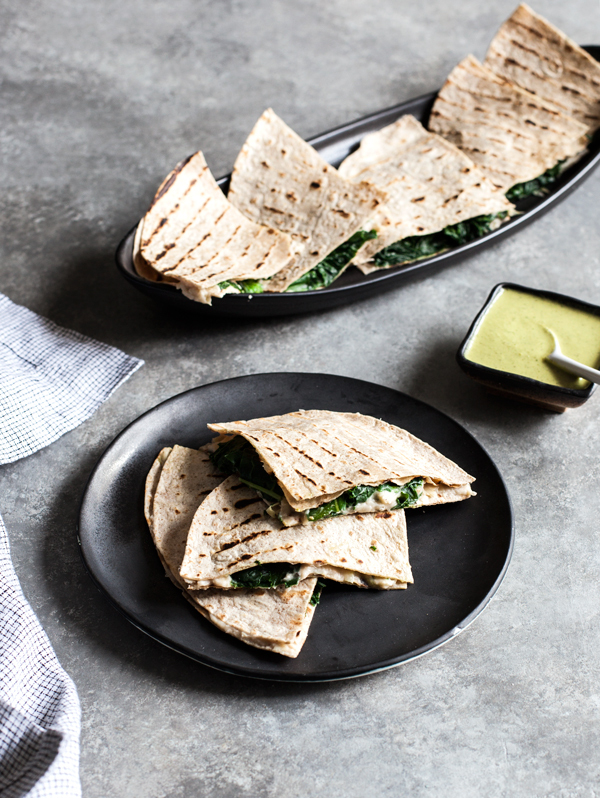 These white bean artichoke quesadillas–which I’m calling kale-sadillas, just to be cute–are my newest favorite! 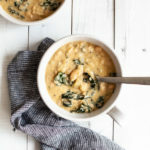 I love the contrast of creamy white beans, tangy marinated artichoke hearts, and the slight bite and bitterness of kale. It’s optional, but if you have time, adding roasted garlic to the white bean spread makes the flavors of this simple dish sing. I’ve mentioned in the past that one of the decided downsides of blogging is that pressure to create new recipes can sometimes prevent one from reusing and re-interpreting old ones. The green herb dressing from my first cookbook is one of my all-time favorite summer dressings–a lemony mixture of tahini, parsley, basil, dill, and green onion–yet it’s been ages since I made it. 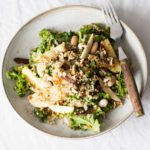 As I was preparing the kale-sadillas for lunch this past weekend, it occurred to me that a bright, herbaceous dressing or sauce would help to enhance all of the flavors. I’m so glad that I brought the green herb dressing (which I’m calling “dipping sauce” here, but it’s all the same) has re-entered my life. It’s a keeper, and while it’s not necessary for this recipe, it certainly helps to add flavor and color. Plus, it’ll yield leftovers, which you can use in your salads and bowls throughout the week! Place the white beans, lemon juice, salt, and remaining olive oil into a food processor fitted with the S blade. When the garlic is ready, squeeze all of the roasted cloves into the mixture. Process the mixture for about 2 minutes, or until it's very smooth. Add the artichoke hearts and pulse to incorporate them; they should be chopped into small pieces and the dip should be a little chunky. Add black pepper to taste. If you're using the green herb dipping sauce, blend all ingredients together in a blender or a food processor till smooth and set the sauce aside. Steam or sauté the kale until it's wilted and bright green. 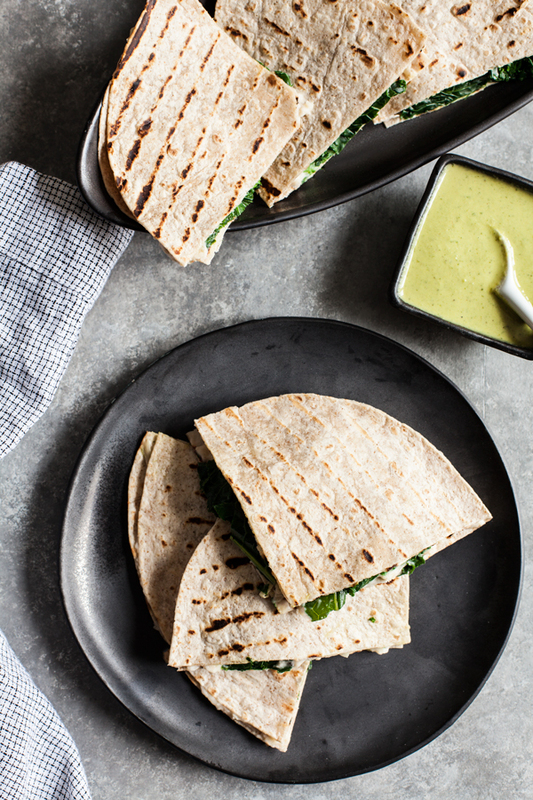 Top each of 2 large or 3 small tortillas with a layer of white bean spread that's about ¼-inch thick. Top the white bean spread with the steamed kale. Place another tortilla on top. Heat a small sauté pan or grill pan and gently toast each side of the quesadilla, until the two tortillas are each gently browned. 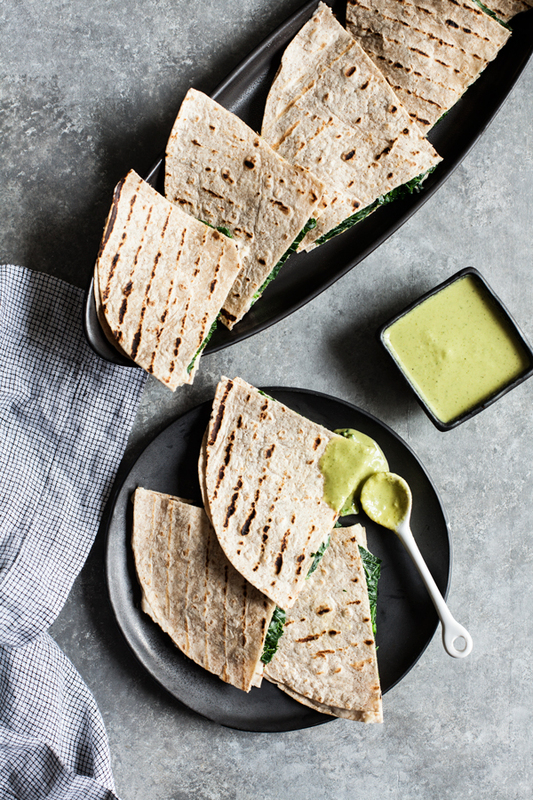 Slice the quesadillas into quarters and serve with the green herb sauce. *If you don't have time to roast the garlic, simply add 1-2 raw cloves to the white bean spread at the same time you add the beans, lemon, oil, and salt. Leftover white bean artichoke spread will keep for up to 4 days in an airtight container in the fridge. 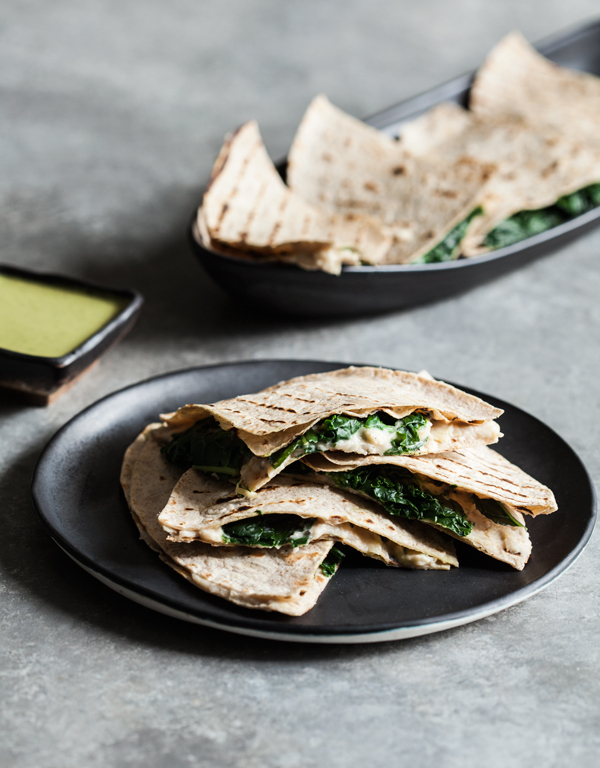 You can pair these nutritious kale-sadillas with a simple, summery soup (like my easy summer gazpacho or Thai coconut carrot lemongrass soup) or a quick salad for a very easy, low-stress meal. You may find, as I did, that you love the white bean dip all on its own, in which case, no need to use it in this recipe specifically! I look forward to spreading it on toast or enjoying it with raw veggies as an afternoon snack. Hope you enjoy the recipe. 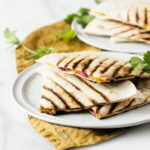 If you dig it, you might also want to check out my sweet potato and roasted red pepper quesadillas, which are also super summery (and very tasty). this looks so good! can’t wait to try it out. I have all the ingredients for that perfect sauce up there, so I’m totally making it tonight! The pressure to constantly have a stream of brilliant recipes is real, so I appreciate your honesty about it. Sometimes it’s wonderful to return to old favorites! I like artichoke, this is an original way to cook some. I will probably try the recipe next week with my husband :). These look and sound delicious – a perfect summer meal! I can’t wait to try them!